Wellington Primary School is 3 months into a 9 month construction program and the building services installations are well under way. With such a tight construction program, BIM modelling is paying dividends as virtual reality becomes reality. 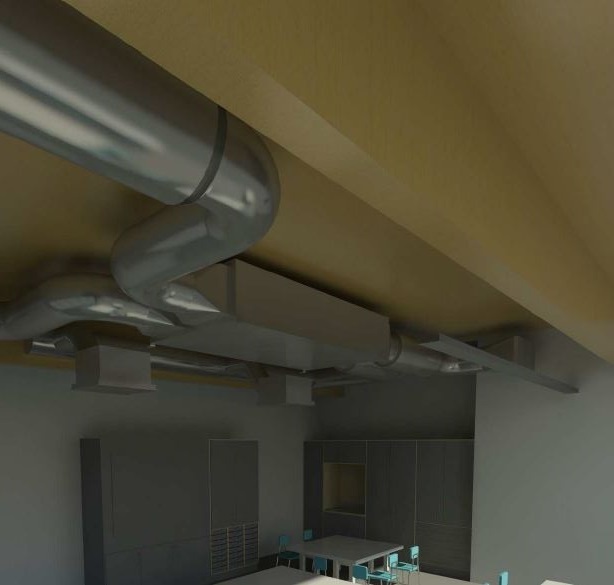 The use of clash detection and 3D modelling during the design stage has provided a seamless transition between the design and construction phases of the project, enabling the construction team to progress at a rapid pace. With a collaborative effort between the architect, structural engineers and BSE 3D, the building was designed as efficiently as possible using a CLT structure, decentralised ventilation and VRF air conditioning systems amongst other technologies. We look forward to sharing more progress images of this exciting project as it unfolds. 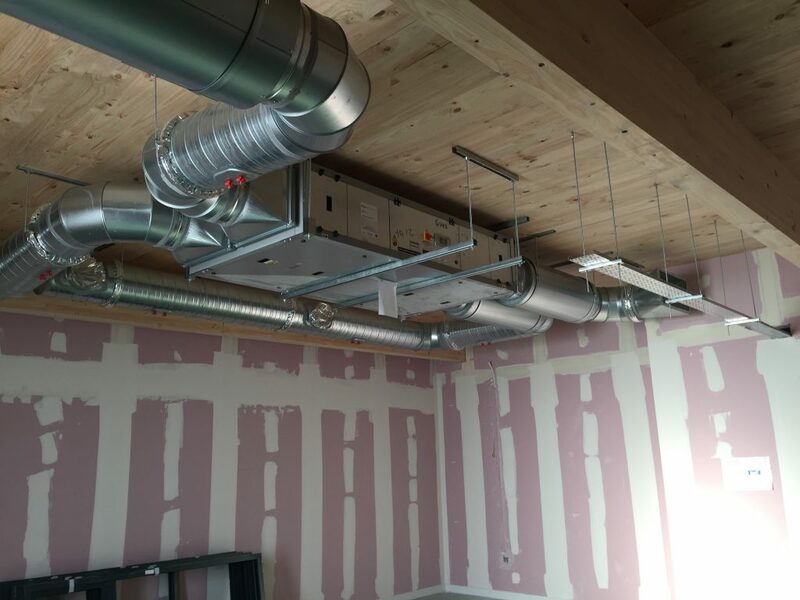 The images show the actual and virtual, typical classroom ventilation unit from the same perspective.